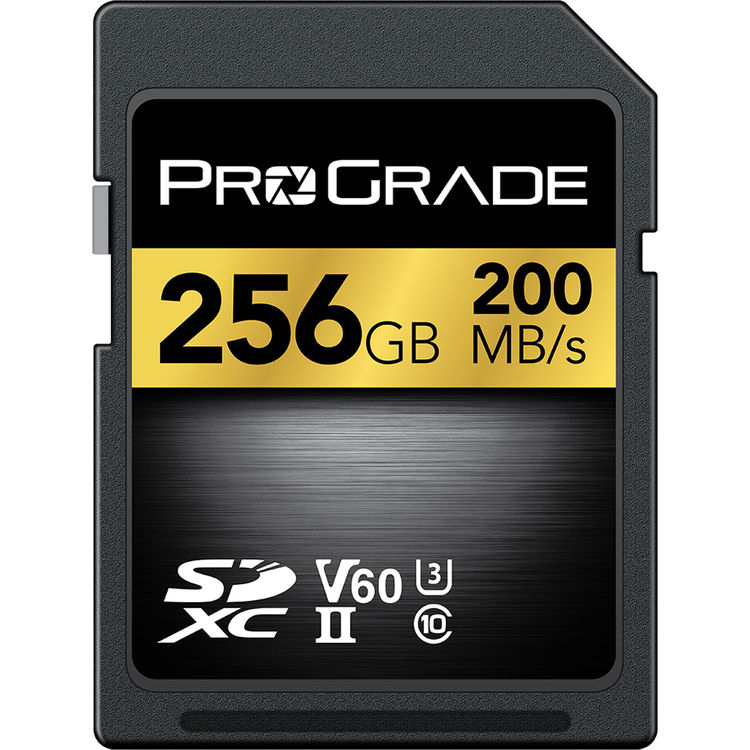 ProGrade Digital may be a newcomer to the memory-card scene, but those looking for reliable V60 and V90 UHS-II SDXC memory card media will be pleased to learn that this company has been founded and staffed by former Lexar and Micron employees. 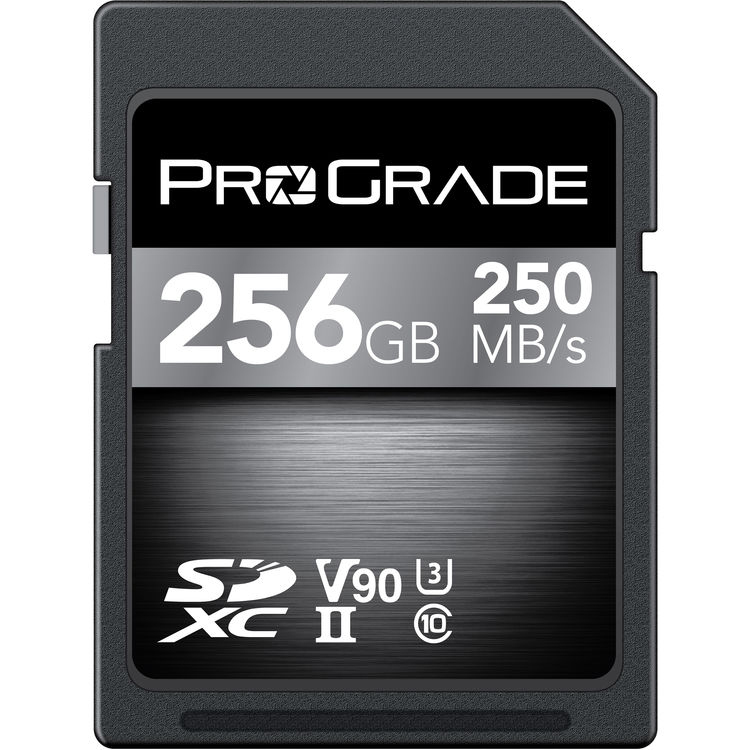 Like a phoenix rising from the ashes, ProGrade Digital has emerged to offer a V60-rated UHS-II SDXC Memory Card in capacities of 64GB, 128GB, or 256GB that deliver read speeds up to 200 MB/s and write speeds up to 80 MB/s. Thanks to the V60 Video Speed Class rating, minimum write speeds of 60 MB/s are guaranteed in compatible devices, allowing the card to the be used to 4K, 3D, and Full HD video captures, as well as raw photos and rapid-fire bursts. Does your workflow include rich data streams, such as 6K, 4K, UHD 4K, and high bit rate MPEG-4 video, as well as raw photos and rapid-fire bursts? If so, ProGrade Digital has also released a V90-rated UHS-II SDXC Memory Card in capacities of 64GB, 128GB, or 256GB that deliver read speeds up to 250 MB/s and write speeds up to 200 MB/s. Thanks to the V90 Video Speed Class rating, minimum write speeds of 90 MB/s are guaranteed in compatible devices. ProGrade Digital’s V60 and V90 UHS-II SDXC media are all available in single or 2-pack quantities. They are also built for extreme conditions and can withstand temperatures from -13 to 185°F. A built-in write protect switch helps to safeguard your content from being erased. Have you had a chance to use ProGrade Digital’s cards? Feel free to share your thoughts below.